From 2000 until recently the left was in government in most Latin American countries. This left had enormous achievements to be hugely proud of. It brought about a real ‘revolution in distribution’. For the first time for decades a period of growth of the Latin American economies brought huge benefits to the people of Latin America with a rise in overall living standards and radical reduction in poverty. ​But confronted with the sharp downturn in commodity prices from 2014 onwards weaknesses of the Latin American left’s policies were shown. In most countries it had not made a ‘revolution in production’ – that is the development of an economic policy that could cope with the downturn of commodity prices. As a result the left lost power in key Latin American countries such as Argentina and Brazil. 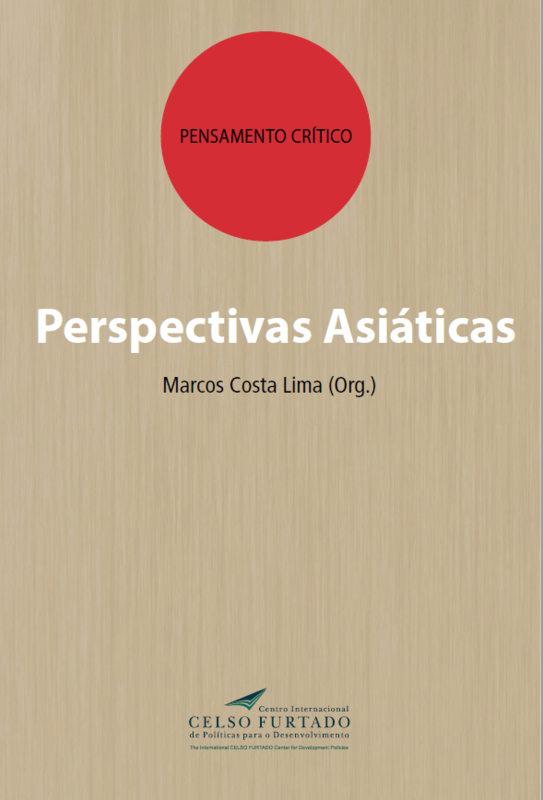 ​The article is a shortened version of my chapter ‘Lessons of China’s economic development for Latin America/Lições do desenvolvimento econômico da China para a América Latina’ in the book Perspectivas Asiáticas published in Brazil. Latin America in the period led by left-wing governments made a fundamental ‘revolution in distribution’ to the enormous benefit of the continent’s people. As the World Bank analysed in 2013: ‘For the first time ever, a decade of strong economic growth within the region saw employment increase and wage inequality drop, contributing to an unprecedented reduction in poverty and an increase in prosperity for all levels of society… average real incomes in Latin America have… risen by more than 25% since the turn of the millennium. And with the lowest wages increasing considerably faster than the regional average, it has been the poorest 40% who have benefitted the most.’From 1999-2012, 31 million people in Latin America were lifted out of the World Bank’s international definition of extreme poverty of $1.90 daily expenditure in internationally comparable terms (parity purchasing powers at 2011 prices). In the same period 52 million were lifted out of World Bank defined poverty of daily $3.10 expenditure measured in the same units. The basis of this tremendous social progress was accelerated economic growth in contrast to the economic catastrophe produced in the late 20th century by neo-liberal policies. Until 1993 average per capita GDP in developing Latin American economies remained below 1981 levels. By 1998 annual average per capita GDP growth was still only 0.9% – using a five-year average to avoid the influence of short term fluctuations. Only after Chavez was elected Venezuela’s President in 1998, followed by other left wing Latin American leaders, did economic growth seriously accelerate. By 2007 annual average per capita GDP growth in Latin America reached 2.8%, again taking a five-year average, with faster growth in key countries including Venezuela’s 5.7% and Argentina’s 7.7%. The left wing governments ‘revolution in distribution’ ensured the benefits of this economic growth was shared by Latin America’s population. But unfortunately recent economic setbacks indicate that this ‘revolution in distribution’ was not yet matched by an equivalent ‘revolution in production’ – an ability to maintain strong positive economic growth in the face of negative world economic trends. Due to the consequences of such economic slowdowns right wing forces won Argentina’s recent presidential election, succeeded in a de facto coup d’etat to remove the President of Brazil, and imposed other setbacks. This is particularly serious as such right wing forces present themselves as ‘centrist’ for propaganda purposes but in reality their economic programmes represent a shift towards neo-liberalism – polices which have produced economic disaster not only in Latin America but elsewhere. Failure to maintain substantial economic growth in adverse global circumstances therefore led to highly undesirable setbacks. I am based in China but follow Latin America closely and have travelled there numerous times including twice for conferences with President Chavez personally. From this experience I believe it is crucial Latin America’s left closely studies China’s economy – not in the sense that China’s model can be mechanically copied, but in the sense that key economic processes operate in it which are equally applicable to Latin America. China successfully made a ‘revolution in production.’ For nearly four decades China’s economy grew annually at over 8%, taking it from one of the world’s poorest countries to the threshold of a ‘high income economy’ by international criteria. This was the largest ‘revolution in production’ in human history. Even after the international financial crisis produced global economic slowdown, China in 2016 achieved 6.7% growth. Contrary to US myth, China’s growth did not benefit chiefly the rich but ordinary people. China lifted 853 million people from World Bank defined poverty. In 2015 the average inflation adjusted real disposable income of China’s population rose by 7.4%. This is the type of ‘revolution in production’ Latin America needs. The differences between Latin America and the ‘China model’ are clear. Modern statistical methods, officially adopted by the UN and OECD, show that fixed investment accounts for over half GDP growth. China’s high investment level explained its rapid growth – in 2014 China’s fixed investment was 44% of GDP. Latin America’s far lower investment level makes it impossible to achieve rapid growth and maintain this in adverse global circumstances – Argentina’s fixed investment level was 17% of GDP, Brazil’s 20%, Venezuela’s 22% – Ecuador, however, had a decisively higher investment level at 28% of GDP. Taking into account capital depreciation the contrast is greater. Net savings, the finance available for additional investment, is 32% of China’s Gross National Income compared to 7% in Argentina and 5% in Brazil. Some countries, Bolivia and Ecuador, have achieved levels of 15% but this is still below China’s level. With such low levels of fixed investment rapid growth and anti-cyclical stimulus packages are impossible. The ‘China model’ did not eliminate the private sector but made state investment the economy’s driving force – with the private sector also benefitting from the resulting growth. It is China’s ability to have a state sector which does not administer the economy but is sufficiently large to maintain and control the economy’s investment level which explains China’s success. It is this model of an economy, which does not eliminate the private sector but is driven by high levels of state investment, that explains China’s rapid growth and differentiates its model from that of most of Latin America. For economic success, study of China’s ‘revolution in production’ should supplement the ‘revolution in distribution’ of which the Latin American left is so justly proud. This article was originally published in January 2016 by Telesur. It has been slightly updated to refer to events since then but there has been no need to change the bulk of the article or its analysis.